Value investing comprises looking for companies believed to be undervalued by the market. Value stocks tend to be those with low price/book values (P/B), low 12-month forward price/earnings multiples (P/E), and high dividend yields. The sub-sector that captures the most value stocks today is banks. More than a quarter of the MSCI World Value Weighted index, which emphasises the stocks with the lowest valuations, are financial companies. In fact, of the 10 cheapest stocks in the world, according to the index, half are banks: JPMorgan Chase (JPM), Bank of America (BAC), Citigroup (C), Wells Fargo (WFC) and HSBC (HSBA). Global banks trade on a P/B of just 0.9 times, according to UBS estimates. Their forecast 2020 P/E is 7.9 times and they yield 4.9%. It’s no surprise banks are so out of favour: consumers don’t trust them, and investors shun them. Regulators were quick to pounce for their role in the 2008 financial crisis and have forced drastic change in these businesses. The crisis also heralded an era of rock-bottom interest rates, which has acted as a drag on earnings. Banks prefer higher rates, as the spread between what they pay savers and what they earn from depositors widens, improving margins. Sentiment has been turning in recent years, with rates in the US having been raised nine times since December 2015. But bank share prices have been slow to move. The Dow Jones US Banks index has returned just 25% including dividends between then and year-end 2018. Fabrizio Quirighetti says SYZ’s conservative multi-asset funds had been overweight developed market banks through the first nine months of 2018 on expectations of major central banks normalising interest rates. Those expectations receded entering the fourth quarter, leading them to reduce exposure significantly. That turned out to be a shrewd move, with the DJ US Banks index subsequently declining 16.5%. Still, rates aren’t the only potential tailwind for banks moving forward. A decade of onerous regulation has helped them become better capitalised than ever before. Repeated stress tests suggest they should weather another financial crash better than 10 years ago. US regulators have relaxed rules on how much banks can return to shareholders in the form of dividends and payout ratios are rising. The aforementioned index has bounced 13% year-to-date. Jamie Ward, manager of the Crux UK fund, owns a trio of US banks, with Wells Fargo and JPMorgan Chase his highest-conviction picks. Goldman Sachs (GS), meanwhile, wouldn’t be expensive if the share price was double its current $195 level, Ward claims. UK fund managers are positive on banks, too. Again, valuations are cheap at an average 0.8 times P/B, 8.9 times P/E and yielding a whopping 6%. Ever since the Bank of England’s Financial Stability Report in 2015, regulators have been very public in their opinion that the sector is adequately capitalised, says James Goldstone, manager of Keystone Investment Trust (KIT). But fines, notably for payment protection insurance, have since been a drain on these capital buffers. Now banks are free to distribute their excess cash again. 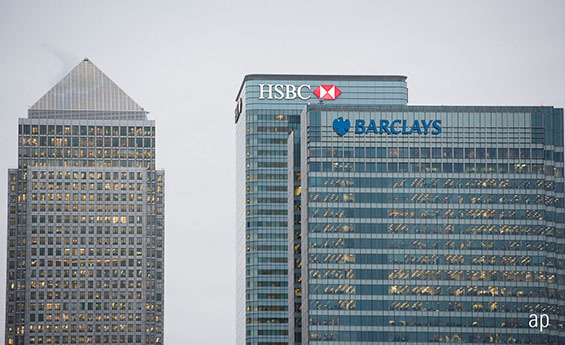 Dividends paid by UK banks in 2018 were 5.3% higher than the previous year, according to Link Asset Services’ latest dividend monitor. Barclays (BARC) is one of the cheapest names in the sector. Steve Magill, manager of the UBS UK Equity Income fund, feels its current valuation is far too low considering its average return on equity (RoE) since 1981 has been 12%. Its average market valuation since then has been 1.2 times price/book, Magill adds. This year, management forecasts RoE of 10%, suggesting a valuation of one times book value. In reality, the market is valuing Barclays on 0.6 times tangible book value. “What that says to me is that the shares are trading at close to half price,” continues Magill. Of course, the bull case for Barclays assumes guidance will be met. But Goldstone notes management have “given reasonable visibility on how they intend to get there”. As a result, he’s confident. Clearly, Brexit is a risk to that scenario, but the UK accounts for just half of the business, so it’s not as crucial as some may think, he adds. Goldstone also has a top 10 holding in RBS (RBS), which returned to the dividend list in 2018 after a decade away, albeit at a modest initial level. That sentiment is echoed by Alastair Mundy, who runs a deep value contrarian investment style as manager of the Morningstar Silver Rated Temple Bar Investment Trust (TMPL). It’s not quite as cheap as Barclays, though, and the 55% Government stake is “a fly in the ointment”, as is Brexit, says fellow holder Alasdair McKinnon, manager of The Scottish Investment Trust (SCIN). Lloyds (LLOY) is now distributing more than it did before the financial crisis, according to Link, and the stock continues to be a retail investor favourite – it was the most popular FTSE 100 stock bought through Hargreaves Lansdown’s platform in 2018. It is, though, a pure play on the UK economy, meaning it would be hit hardest by a negative outcome over Brexit. But that’s baked into the current price, according to Jamie Clark, co-manager of the Liontrust Macro Income fund. “The fact is, as Lloyds’ share price has de-rated, it has both become a safer investment and cranked up shareholder returns,” Clark says. The fund bought Lloyds last year, “precisely due to this inconsistency between its depressed rating and its growing capital cushion and ordinary dividend”. One UK-listed bank fund managers are less positive on is HSBC. Firstly, Goldstone notes it is much less cheap than others. That’s because it is much less exposed to the UK economy and, therefore, not reliant on the Brexit outcome for a positive outcome. But it’s this overseas tilt that has led Mundy to start to reduce Temple Bar’s exposure to the stock in the past year. In February 2018 it was the largest holding in the portfolio with a 7.2% weighting. As at December 31 2018 that has come down to 4.6%. While Mundy says it’s got a very strong position in Asia, it’s the exposure to China that is worrying. “We still think there are certain question marks over China’s prospects given the huge amount of debt relative to the size of the economy and how much that’s increased in the last decade,” he explains. As a result, he says he’s “wary of parts of the HSBC story”. Magill is more positive, without being overly bullish. “Like a lot of the major banks, it’s been going through a long period of restructuring which is improving the bank,” he says. Japanese banks are the cheapest on UBS figures, at 0.5 times book value – essentially half price. “They’re valued as if they’ll never see a positive environment again,” says McKinnon, which owns Sumitomo Mitsui Financial Group (8316) and Bank of Kyoto (8369). But, with interest rates in Japan negative, it could be argued the only way is up. “If Japan shows even the slightest inkling of normalising its negative interest rates, you could see a very strong reaction from the Japanese banks,” McKinnon adds. European banks are slightly cheaper than the global average at 0.7 times P/B but there are reasons for this: bad debts are high, and revenues are declining. Meanwhile, the economic story still looks foggy with rates still negative and Italy in recession. Carlos Moreno, co-manager of the Miton European Opportunities fund, says traditional banks have become big conglomerates with myriad distribution channels and old-fashioned systems. They are being picked off by newer entrants which are narrower in scope and have better, modern IT systems. While his fund’s financial services exposure is more focused on brokerages, he has a couple of retail banks including Norway’s Sbanken (SBANK), a pure electronic bank, and Denmark’s Ringkjøbing Landbobank (RILBA).